Almost half a century of research about fatherhood has resulted in a shocking conclusion. Dads are pretty important to the family unit. OK, maybe it’s not earth-shattering news, but it comes at a time when dads are embracing their role in parenting perhaps more than any point in history. A 2015 Pew Research Center study of American parents with children under 18 showed 57% of modern dads feel parenting is central to their identity. On average, dads are spending 7 hours a week on childcare and 9 hours a week on household chores, double or triple the amount of time they spent 50 years ago. Good job, dads. But don’t let those numbers go to your head too much. Moms still work twice as long to keep the family running smooth. So, dads are more interested in being dads. That’s a start. But, where does a dad go from there? How does a dad learn to be a good dad? We certainly won’t get any solid advice from our fathers. Their limited quiver of parenting tools included a list of yard work chores to keep us busy, reading a newspaper to pretend they couldn’t hear us, and if all else failed, a leather belt to shut us up. Today, a search for fatherhood resources brings up, at best, a third the number of educational books, videos, and programs than moms have. No big surprise there. Almost half of moms say they actively look for information about motherhood, while less than a quarter of dads do research. The market isn’t quite there yet. It’s relatively new territory and dads aren’t typically the best at asking for help. But, help is here—more than ever. All you have to do reach for it. Here are five of the best sources of information about fatherhood and parenting out there today. The National Fatherhood Initiative runs the excellent online resource, Fatherhood.org. For over 25 years, NFI has provided the most comprehensive fatherhood resources for communities, military families, correctional facilities, and government agencies. You can download free e-books, webinars, and there’s even a free mobile app that helps dads develop schedules and checklists for spending time with kids. In addition to educational resources you can use in your daily life, you’ll also find grassroots tools to educate your community or a local organization. Fathers.com is home to the National Center for Fathering, which also started about 25 years ago. Founded by Dr. Ken Canfield, the website Fathers.com is home to a host of quick reads and solid information. You can also sign up for weekly emails that’ll deliver tips like 5 Things Never To Say To Your Kids, 5 Ways To Connect With Your Daughter, 3 Tips For Becoming A Good Listener To Your Son, and 7 Things Every Daughter Needs To Hear From Their Dad. As you can see, they’re big on numbered lists. City Dads Group has a cool origin story that rivals any Marvel character. It all started on a distant planet called New York City. Two stay-at-home dads, living in a world where moms shunned them at the playground, decided to beat the odds. To fight back, they started their own support group for other dads to get out of the house and socialize and learn from each other. You can now find City Dads Group in 34 cities coast to coast with weekly meet-ups at parks, ball games, museums, and more. They also have a great weekly podcast that covers a wide range of modern fatherhood topics that appeal to all ages, races, and sexual orientation. Fatherly.com is one of the coolest websites for dads. Their mission is to empower men to become better parents so they can raise great kids and lead more fulfilling adult lives. Yes! Basically a blog format, the website features stories about fatherhood broken down by the age of your kid. You’ll find stories for dads still expecting, dads of babies, toddlers, preschoolers, big kids, and tweens and teens. In addition to parenting advice, you’ll also find great relationship advice to help keep the spark alive with your spouse. Fatherly.com also won’t shy away from controversial and thought-provoking topics of our time like the implications of growing weed for your teen kids or how to safely toss your baby in the air. Must reads for sure. Familytravel.org is not a dad-only website, but it’s so good, I had to include it in this list. It’s the website for the Family Travel Association, a group who believes that traveling is a crucial part of every kid’s education. Former Executive Director Chez Chesak says that the name “Family Travel Association” may be a little bit of misnomer. “We’re really all about traveling with kids. It’s all about the kids. It’s about getting them into new, alien, different, expanding experiences.” How do they do that? First, the website features tons of great stories and tips educating parents on how to best travel with kids. They also have links to a growing network of family-friendly businesses, everything from scuba outfits to dude ranches to campsites to museums all over the U.S. So, buck up, dads. You’re not alone out there. 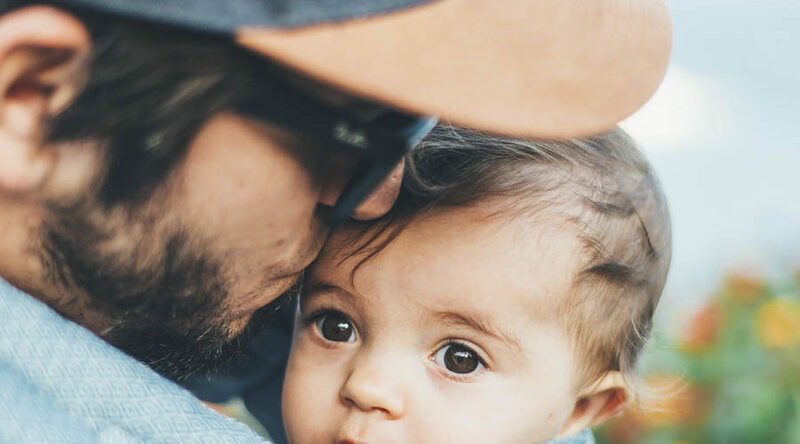 You’ve got some really helpful resources to answer your questions about fatherhood and guide you along the bumpy, wild, and amazing journey you’re on. You got this. Next Next Best Long Underwear Ever For Kids & Adults. Seriously.